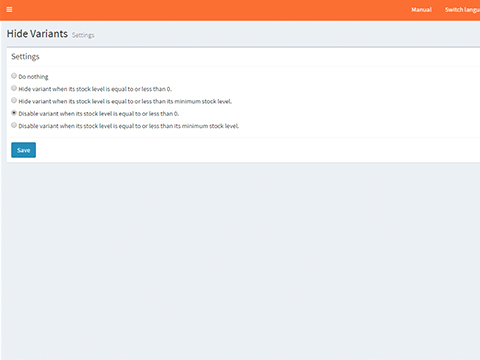 Automatically hide your product variants as soon as they are no longer in stock. Hide Variant is an App that does exactly what the name already reveals. When a variant of a product is no longer in stock, it is no longer shown in your webshop. The Hide Variant App ensures that variants with a certain inventory value are hidden, or marked with gray. How does Hide Variants work? In the App you select whether product variants that are not in stock (or have reached a certain stock height) should not be shown at all, or should be marked as gray. Your changes will be visible in your webshop within a few minutes. 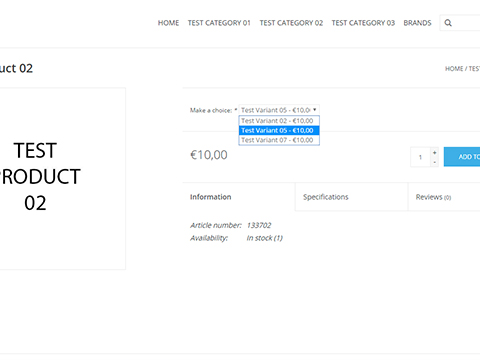 It may take a few minutes before your product variations have been updated in your webshop. We are the App Lab. 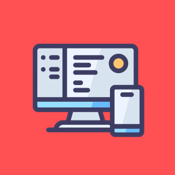 Our Apps are designed to increase your sales and help you run your online store more efficiently so you can spend time on more important things, like growing your business.